Mobile Alert Device | Home Care Services | AHI Group, Inc. This year 13.5 million people, 65 and older will fall. If you or a loved one experience a medical emergency, time is of the essence. That’s where ADT Life Alert can help, connecting you to the right help for the situation, 24 hours a day, 365 days a year at the push of a button. Whether you need emergency services or just the assistance of a family member or friend to help you get back on your feet, we can help. AHI is a Certified ADT Life Alert Distributor – offering discounts not available at ADT store front. Get fast access to help, 24 hours a day, seven days a week. 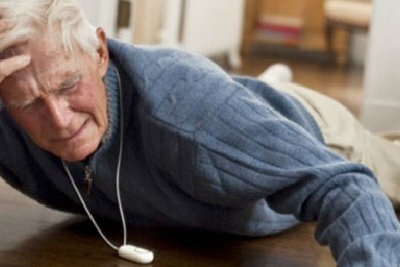 Unlike a cell phone, Life Alert is waterproof, always charged, and within reach to call for help. No equipment to buy, no long term contract, no hidden fees.